The three-cylinder Lister diesel engine is currently undergoing complete refurbishment. 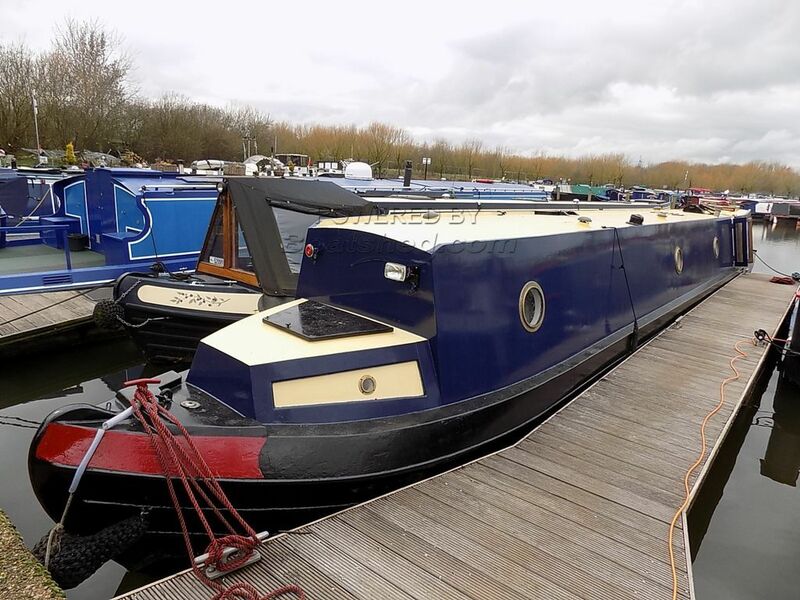 A chance to purchase a newly refurbished trad-stern narrowboat. The whole of the internal layout has been rebuilt and including the central engine. The unusual layout allows for an aft cabin that can be used as a snug or turned into a cabin with single berth. A stove will be fitted to provide heat for the aft section of the boat and warm the helmsman as he stands at the tiller. The galley is newly fitted with contemporary grey tiling and dark work surfaces. The adjoining saloon has a multi-fuel stove to provide heating to the forward section of the boat. The shower room has a modern cabinet-mounted basin, mixer shower and porta potti toilet. The forward cabin provides a spacious double berth that extends beneath the foredeck. The boat is currently located in Packet Boat Marina on a leisure mooring. There may be an option to take over the mooring for a fee to BWML of 5% of the boat value or upgrade to a residential mooring as they become available. This Narrowboat 60ft Trad Stern has been personally photographed and viewed by Richard Thompson of Boatshed Grand Union. Click here for contact details.